Binghamton University students, staff, faculty and administrators travel to Albany to visit lawmakers on March 2 for Advocacy Day. 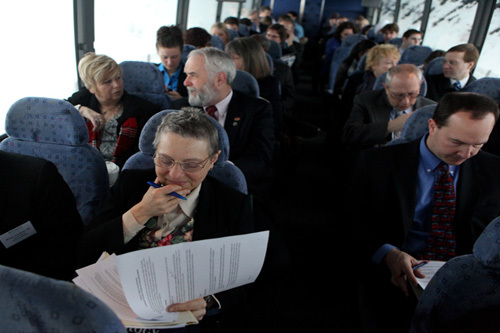 Susannah Gal, associate professor of biological sciences, reads on the bus ride to Albany. 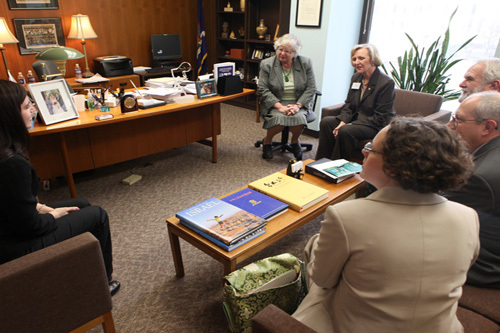 Senator Toby Ann Stavisky meets with President Lois B. DeFleur; Darryl Wood, president of the United University Professions Binghamton Chapter; Gary Beach, executive vice president of CSEA; 2009 Exemplary Student winner Jessica Falzone; and Meredith Coles, associate professor of psychology. 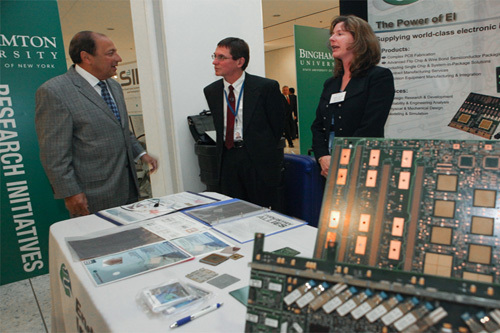 State Sen. Thomas W. Libous talks with Peter Moschak and Theresa Taro, representatives from Endicott Interconnect Technologies, at their display in Albany. State Assemblywoman Donna Lupardo and President Lois B. DeFleur tour the displays in Albany. Mechanical Engineering student Yang Gao, left, greets them at the S3IP display. 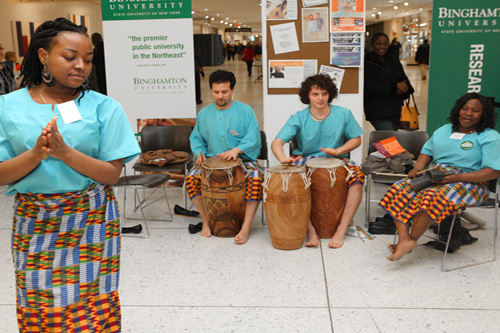 James Burns, assistant professor of music, seated at left, leads his African drumming ensemble in Albany. 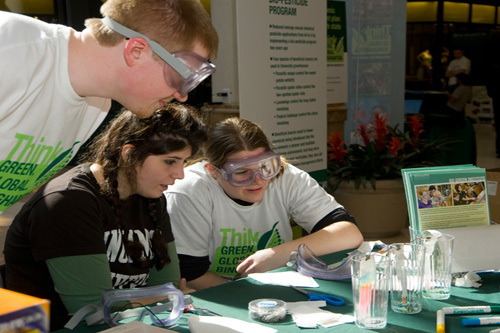 Chemistry majors Dan McCurry, Lili Karam and Abigail Oakes were among the students, faculty and staff who offered the community an opportunity to learn more about the campus and its activities on March 6 at the Oakdale Mall in Johnson City.